by Ms. Fazalina Zamidon, Sales & Marketing Executive, FingerTec Worldwide. 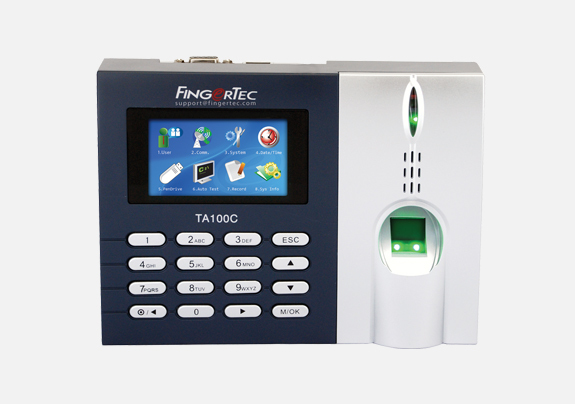 FingerTec has taken on another hotel, and this time it is in Kenya, near its capital, Nairobi. Kirimara Springs Hotel is one of the most preferred hotel in the town of Nanyuki, about 300 meters from the equator, along the Nanyuki - Nairobi highway. The hotel offers splendid panoramic views of the snow-capped peaks of Mt. Kenya right from the reception area, the hotels main lounge and the guest rooms, and it is this mountain that Kirimara Springs hotel derives its name from. Having used a manual book-recording version of time attendance recording, the hotel was in need of a more quick and automated way of handling this task, so that more time can be spent on other aspects of this slowly expanding hotel. This is when Smoothtel Data And Solutions Ltd., our authorized reseller in Kenya, came into the picture, proposing the popular and best-selling TA100C color time attendance model. Together with the TCMS V2 bundled software for FingerTec time attendance management, now the staff of Kirimara Springs Hotel use their fingerprint to log in and out of their respective shifts, instead of their previous logbook method, and data can be easily collected and processed for the hotel’s Administrative department’s convenience!